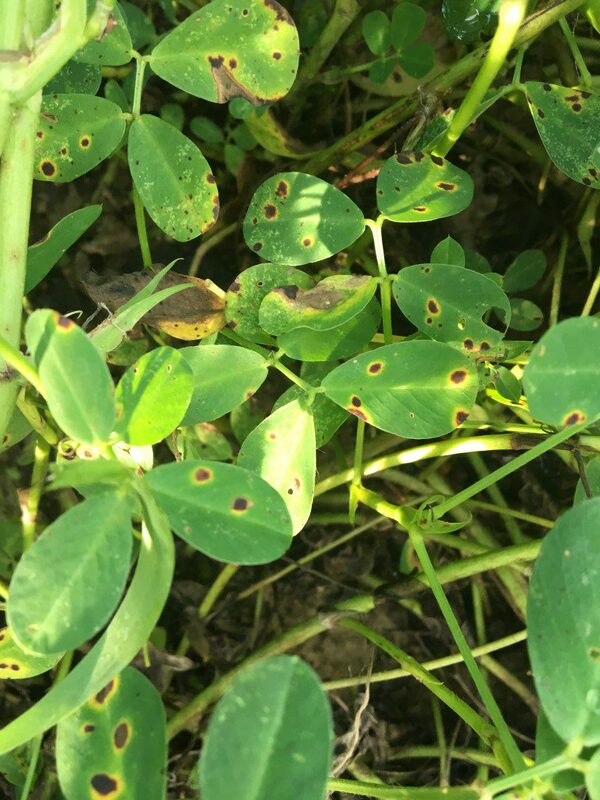 Wilcox County Ag | Early Leaf Spot… Late? 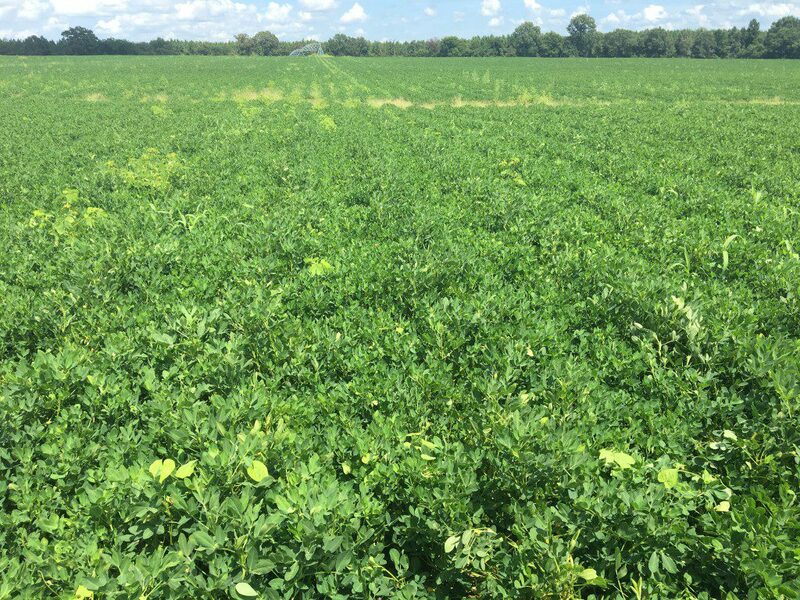 12Y peanuts are known for having some good disease resistance, and we plant a good bit of 12Y here in Wilcox County. They are real good against white mold, and leaf Spot is not too bad. Here is a great looking field of 12Y peanuts just below Abbeville that have had so much rain the pivot has not run one time this year. These are past the 90 day mark and headed for the home stretch. But over the past two weeks, leaf spot has jumped on the plants and run up to the top of the canopy. Sometimes early leaf spot is late and late leaf spot is early. 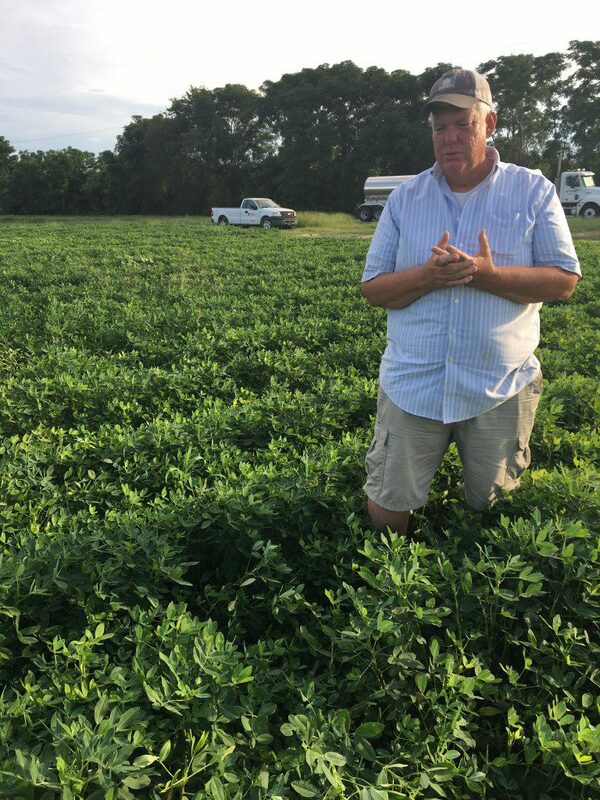 Knowing we need to select the correct fungicide, we talked to UGA extension Pathologist Dr. Bob Kmerait which he asked if he could stop by the field this week on his way back to Tifton. A lot of burn on the leaves is sharing space with leaf spot as well. He was impressed with how good the crop is looking at the 90 day mark. 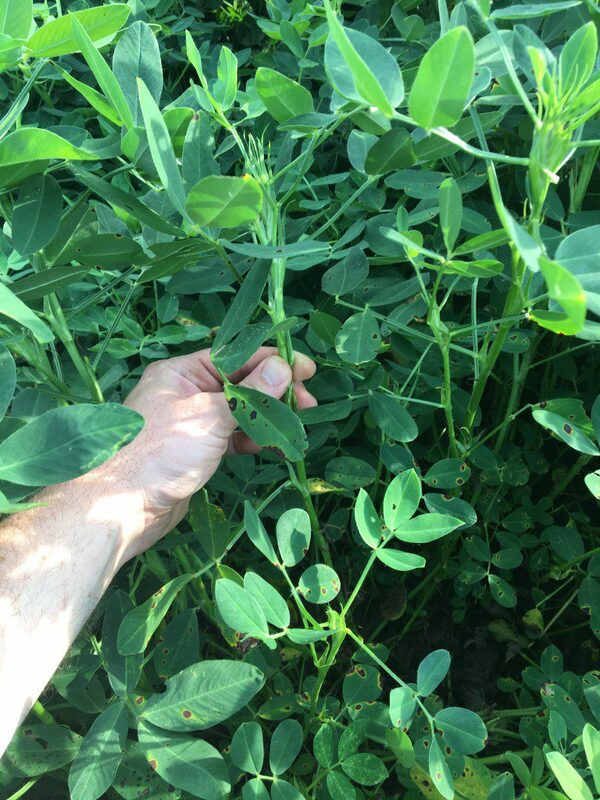 Dr. Kemerait was able to say that in this odd situation where leaf spot has jumped on a variety like 12Y, it is essentially the most perfect environmental conditions. There is also a chance that the previous fungicide may have gotten Washed off the leaves. The good news is we are not seeing leaves defoliated yet. We simply need to hold these leaves on the plant and select the right fungicide for the next two treatments. The other good news is that there is no white mold whatsoever. That allows us to put an inexpensive white mold product and focus on leaf spot.